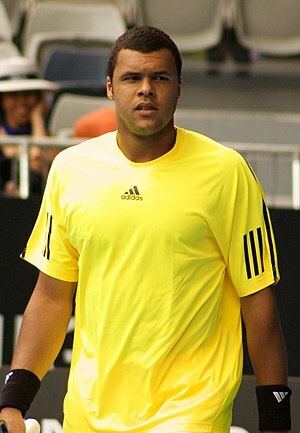 jo wilfried tsonga | Make Time For Sports. "Tonight I can see myself in the mirror and say, Yeah, you fight enough." The Frenchman succumbed to the Swiss master at the World Tour Finals in London. Jo Wilfried Tsonga is convinced that Novak Djokovic is not an extra-terrestrial despite playing extraordinary tennis this year. 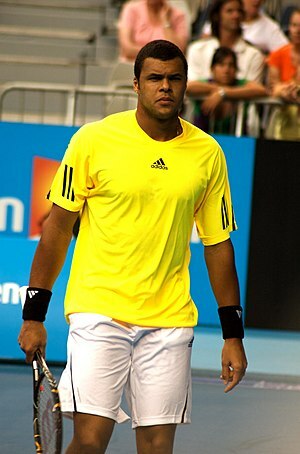 Tsonga adds: “In fact, what he does is doing everything better than the others. He doesn’t hit harder, he doesn’t hit the ball earlier. But he’s always there. This is tiring when you play against him. He does not have the best return on the tour. But on every return, he returns well, and he’s always there. So what does it is his consistency, and he has no weaknesses." “"I don’t have the pretension to try to beat Novak without my arm." Jo Wilfried Tsonga is more than realistic about his chances against Novak Djokovic without a ‘good arm’. 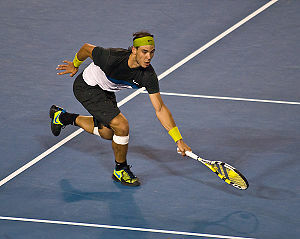 The Frenchman conceded his semi-final at Montreal 4-6,0-3 complaining of pain in his right appendage. Let’s ask the question: Did Roger Federer lose or did Jo-Wilfried Tsonga win? It was, perhaps, a bit of both. For the first two sets, it seemed as though it was to be yet another cakewalk for the Swiss. The motions were smooth; the serve was chugging along like a Rolls Royce. The Frenchman was sleepwalking his way out of the tournament. Then suddenly, something changed. It was, as though, the Ali-lookalike realised that this was his best chance—his only one. He had nothing to lose, so why not go at it full-tilt like the gladiator he is? The first break of Roger’s sublime service fuelled this belief. That, maybe, there was something to be gainsaid from it all. Novak Djokovic might have secured a much cherished win at the Dubai Duty Free Championships—another convincing victory over Roger Federer—but it was the World No.1 Rafael Nadal who stole the headlines over the weekend. The Spaniard declared that the dominance Federer and he established over the majors—a stranglehold of 21 wins since 2005—is a thing of the past.Nadal reiterated that credit for the duopoly should go to the great Swiss without whom his nine Slams would ring hollow. Novak Djokovic played spoilsport at the 2011 Australian Open annexing his second major after a dry spell of three years. The Serb’s victory was welcomed as the emergence of the Third Force. The fallout was swift. In a rush to hail the rise of the young brigade, ‘tennis pundits’ were quick to pronounce death sentence on the Federer- Nadal rivalry. It may soon be a case of the doomsayers having to eat their words all over again. However, they are not totally wrong.